DLK Peels improve and enhance the skin’s appearance resulting in smoother, brighter rejuvenated skin that reflects light more uniformly. DLK Epidermal Peels are a unique blend of naturally occurring acids that are formulated to improve conditions such as acne, acne scars, hyperpigmentation, texture, fine lines, pore size and sun damage. Peels can be applied on the face, neck, chest, back, and arms. Treats active papules, blackheads and whiteheads. The treatment utilizes vitamin A and a combination of natural acids that are multi-functional and work to control acne and sebaceous glands. The DLK Acne Peel treats acne caused by many factors including hormones (pregnancy or menopause), medications, cosmetics and stress. Reduces and minimizes acne while clarifying the skin. Patient-specific treatment can be customized to individual needs. Improve tone, texture and clarity and reduces the appearance of pore size giving a smooth, polished look. This targeted treatment rejuvenates and improves the appearance of sun-damaged skin. DLK’s Brightening Peels are a new generation of multi-functional chemical peels which are more effective and faster healing than conventional peels. Stimulates collagen production for firmer skin. Helps skin texture resulting in brighter appearance. Unique delivery system to produce results. If you have a history of cold sores please let us know and a prescription can be given to decrease the risk of an outbreak. The skin should not be tanned at the time of treatment. During your consultation, a customized treatment plan will be created based on your individual skin care needs. Your face might be flaking or peeling for 4-6 days. A sun block will be applied to the skin prior to leaving the clinic. You do not need peeling to experience results, most patients notice an improvement in skin tone, texture and pigment. Instructions on how to use your post-procedure at-home products will be provided. 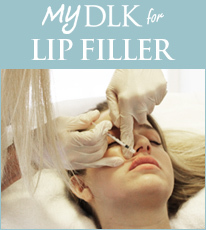 DLK Peels combine in-clinic treatments and at-home prescribed products. Results will continue to improve over time by following the prescribed treatment regimen. Most patients will need a series of 3-6 treatments, spaced 3-4 weeks apart. The level of discomfort experienced depends on the treatment. Most chemical peels are gentle and create little or no burning or stinging sensation in the skin. Dramatic wrinkling, sun damage or acne scars may require a deeper peel, which may cause moderate stinging for a few minutes. More dramatic results can be expected from a deeper peel, however deep peels are not necessary for most skin types and conditions. Yes, but only if they are compliant with using sunscreen protection every day. Sunbathing should be avoided directly following a treatment and while the skin is peeling. Someone who is active may have any peel, but all peel patients should wait 48 hours after treatment to exercise. Dry skin is partially the result of dead cell buildup which actually hinders natural exfoliation as well as the absorption and penetration of vitamins and nutrients. Having a chemical peel will remove surface buildup, hydrate the skin and give it a plumper, “thicker” appearance. The use of topical vitamin C in a home care regimen will help build the collagen in the skin, thus making it stronger and more durable. Are there any peels that are good for rosacea? At DLK we offer many options to help control rosacea. Our gentler epidermal peels are wonderful choices for rosacea. These exfoliating treatments act as antibacterial agents that reduce inflammation and help promote healing. Rosacea is best controlled with a combination of medical therapies, in-office treatments, home care products and lifestyle considerations. Is it OK for someone using Retin-A to have DLK Epidermal Peels? We generally recommend that Retin-A use be stopped five days prior to a peel and five days post treatment because of potential irritation and uneven peel penetration. However, patients should always consult their physician before discontinuing use of any prescription. The patient’s skin care specialist should always be made aware of any prescription medication use. Remember, good communication with your skin care professional is vital.